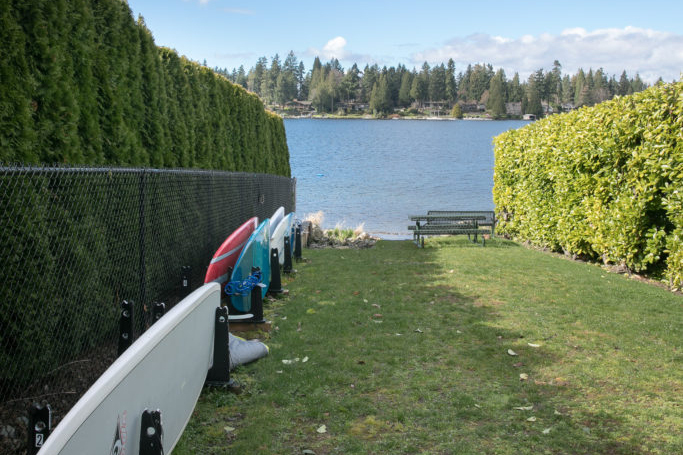 Located at the end of NE 42nd Street, this public launch site is the perfect place to gain public water access to launch kayaks and pattleboards. This area is an alternative area to Road End Beach that offers an off-leash area to dogs. The Town offers limited storage of paddleboard slots to residents. In the spring, the Town holds a lottery to those who enter (one per household); the notification will come to your email when this takes place. Please see the instructions below on registering. To register, submit a Paddleboard Storage Registration Application to Town Hall (pick up at Town Hall or find on website front page). Because of the limited amount of space on the storage racks, slots will be chosen by a random lottery. Registration will be announced. Late submissions will only be considered in the event of a vacancy.